Both Redmi 5 and Redmi 5 Plus comes with Metal body Design. Xiaomi Redmi 5 has a 5.7-inch Display, the resolution of 1440 × 720 powered by Snapdragon 450 processor with 2GB RAM with 16GB storage, 3/4GB RAM with 32GB storage, On Camera, it has a 12 megapixel rear and 5-megapixel front. packed with a 3300mAh Battery. Xiaomi Redmi 5 Plus feature a 5.99-inch Full HD+ ( 2160 × 1080 pixels ) Display Powered by 2.0GHz Octa-core Snapdragon 625 Processor coupled with 3GB RAM with 32GB storage and 4GB of RAM with 64GB of storage.Dual SIM device runs on Android 7.1.2 with MIUI 9 on top.On Camera, it has a 12MP Rear Camera and 5MP front camera Packed with a 4000mAh Battery. 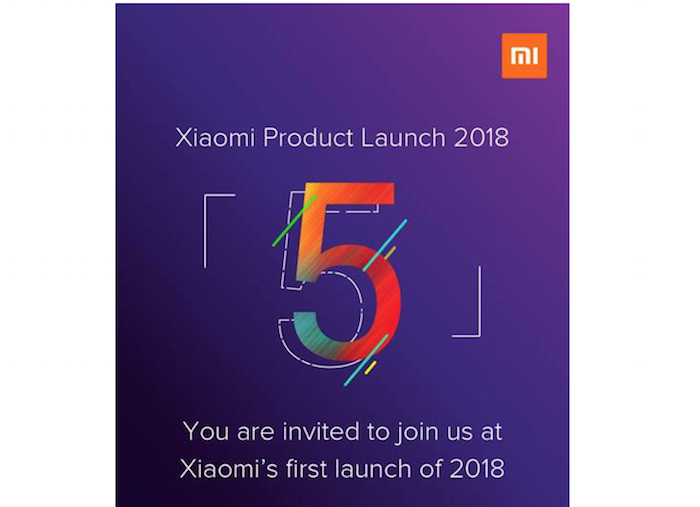 Xiaomi Redmi Note 5 expected to feature a full-metal body, 5.99-inch 18:9 FullHD+ display will be powered by a Qualcomm Snapdragon 630 /636 processor with 3/4GB of RAM and 32/64GB storage. Dual SIM device will run on Android Nougat with MIUI 9.On Camera there will be dual rear camera. It will have a rear-mounted fingerprint scanner Packed with a 4,100mAh battery. Xiaomi Redmi 5 is priced at 799 Yuan for 2GB RAM and 899 Yuan for 3GB RAM.Xiaomi Redmi 5 Plus is priced at 999 Yuan for 3GB RAM and 1299 Yuan for 4GB RAM. Xiaomi Redmi 5 and Redmi 5 Plus come in Black, Light Blue, Gold and Rose Gold colors. Redmi 5 is expected to launch under Rs 10,000.